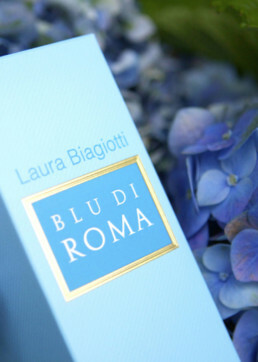 Laura Biagiotti was inspired by the blue of the “Eternal City”, the nuances of the sky at dusk, the reflections of its enchanting fountains, the centuries-old frescoes, and the plumbago flowers climbing in the sunny terraces, not only for the colors of the bottles, but also for their exhilarating and summery bouquets. 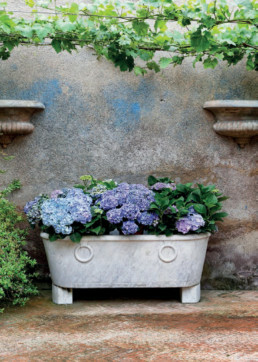 For her turquoise, as clear and fresh as the sky on a summer morning, the crystalline drops of water in the fountains, and the breeze at sunset. 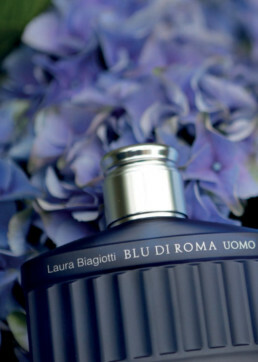 Deep blue for him, as mysterious as the evening sky in Rome. 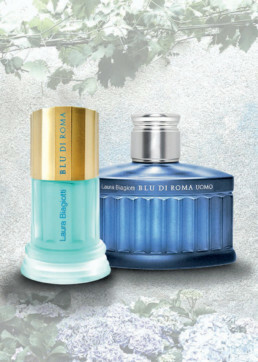 Faithful to the architectural shape of the bottles of Roma, they now come in different colors compared to the classic fragrances: light, brilliant turquoise with a gold cap for the women’s fragrance, and intense sapphire blue with a silver cap for the men’s perfume. 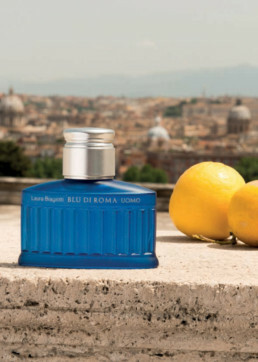 The same nuances are also used for the packaging that features the name of the fragrance on a square with metallic gold or silver trim, just like the street signs of the streets of Rome.